Vehicle owners from Lafayette, IN and surrounding communities choose Guaranteed Automotive and Transmission for oil changes. Other car repair shops and dealerships just can’t beat our friendly down-to-earth environment and talented auto mechanics. 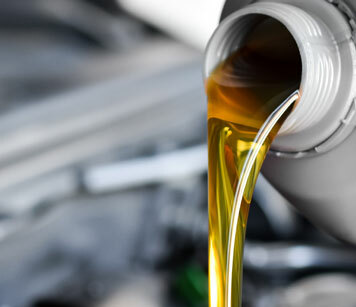 Our team has years of experience offering oil changes and looks forward to servicing your car. Without oil, our cars won’t be in motion much longer. Our ASE-Certified auto mechanics at Guaranteed Automotive and Transmission will take care of your oil changes and other car repairs accurately and quickly. We stand behind our work and offer the best warranties in the region. We stand behind our work with a variety of warranty options. Ask for warranty details. When drivers in and around Lafayette, IN are in need of first-rate oil changes, they pick Guaranteed Automotive & Transmission Service. While our highly-skilled ASE-Certified auto mechanics work on car repairs, you can have some peace of mind knowing that your automobile is in the hands of a team that you can trust. For oil changes, call us, schedule an appointment online , or come by. Guaranteed Automotive & Transmission Service is located at 3742 State Rd 38 East Lafayette, IN 47905.